It is maybe a necessary thing to know about how Drywall could be different from Drywall as long as you are in industry of renovations or you are a veteran contractor. Sheetrock vs. Drywall, what is the issue. None really, it is mostly a difference in what you call the same product. Are you involved in a ‘Drywall Repair Project’or ‘Sheetrock Repair Project’? Come and See the articles. Sheetrock is a brand name owned by the United States Gypsum company. 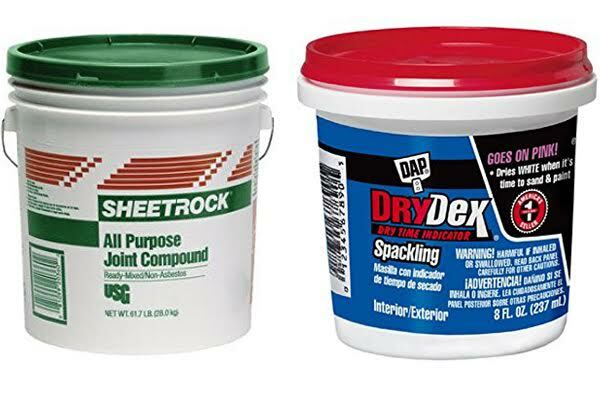 They have a number of Sheetrock designation products such as gypsum panels, joint compound, and join tape. Sheetrock is a trade name for a branded product of gypsum manufactured by the United States Gypsum company. All that we can say is all Sheetrock can be called drywall but all drywall can not be called Sheetrock. With that being said, Sheetrock essentially deals with drywall but provides customers with the opportunity to purchase specialized panels depending on their personal needs. Contractors and home owners can also purchase drywall tools that are branded under the Sheetrock name. Drywall is among the most popular materials utilized in the making of houses to create flat walls and other important surfaces. It was in the late 1800s that drywall board panels were introduced. Drywall became so popular after the US Gypsum Company first introduced the Sheetrock board panels. One sheet of drywall includes gypsum, a kind of rock which was converted into powder and set between two sheets of really, really thick paper. When you’re prepared to install the drywall, you will have to use screws and nails and other connecting material. The plaster is mixed with fiber (typically paper and/or fibreglass), plasticizer, foaming agent, and various additives that can decrease mildew, increase fire resistance, and lower water absorption. For the conclusion, we will take a deep look on the limited differences between drywall and Sheetrock. Both Sheetrock and drywall, which are construction materials, are the same and only a slight difference with regard to label makes the distinction between the two and When Sheetrock refers to a trade name of construction material, drywall refers to the construction method. Drywall became so popular after the US Gypsum Company first introduced the Sheetrock board panels. Call it what you like, ‘Sheetrock’ or ‘Drywall’. The fact is that gypsum based panels hold up the paint in most homes and businesses in the United States and many other countries around the world. It is a great labor saving product.